Australian summers can be famously hot, wet and humid. 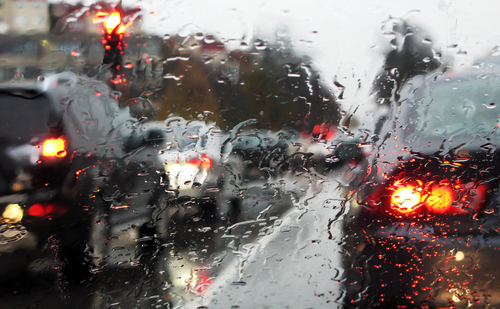 The transition for cars from scorching asphalt to wet slippery roads can make driving treacherous. A crucial part of staying safe is your equipment. Even if your vehicle is mainly traversing suburban roads and only hitting the highways occasionally, it’s important you have a tyre suitable for wet weather conditions, particularly if you live in an area prone to rain. Yokohama’s engineers are continually innovating to produce tyres which promote better safety and performance across a range of conditions. The BluEarth AE50 was developed by Yokohama for maximum wet braking performance on passenger vehicles. It is a superb tyre in the wet, reducing braking distance while still being quiet and offering outstanding grip. It is also fuel efficient, as it uses Yokohama’s patented Orange Oil technology. This unique Nano Blend rubber compound adds grip at a micro level and has been proven to use less fuel. Wherever you’re off to this summer, stay safe on the roads with Yokohama and the BluEarth AE50.